Style couture is a exclusive brand for everyone, Formal and Semi Formals they design everything according to current fashion in Pakistan, Indian & Eastern Asian Countries. Style Couture drive by Syeda Anum. 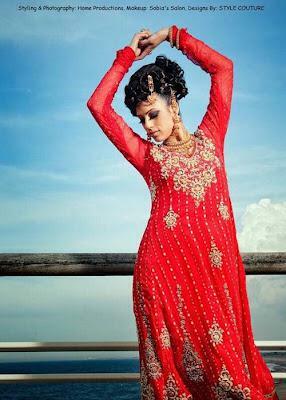 Salwar Kameez, Sarees, Lehengas & Kurtis are the products of Style Couture.Girls and Ladies mostly search for Salwar Kameez fashion Designs for EID,Rangoli, Holi, Wedding, wedding or Summer Party or casual wear. So this post has fresh, fabulous, fabulous, new and classy hot summer collection of Latest Bridal & Wedding party dresses 2012-2013 and Patterns. All products offered by Style Couture are stitched and includes all charges (Fabric, Stitching, Styling and others). These are all customizable outfits such as you can modify the length, add/remove sleeves, modify the color etc.